The Honda CB500X reminds me of Arvind Prabhakar, or Aroo, as we all refer to Halley's elder brother. This is the first thought that flashed through my head as I rode out of the Blue Wing Honda offices near the airport in Auckland, New Zealand. The more I rode, the more this thought got reinforced. I guess now you need a little more context right? We rode with Aroo to one of the TWO Track Schools. He was mounted on his Honda (with, never forget, stiffened front forks). He proved to be a competent, effortless looking highway rider and was among the fastest students at the school. Today he runs a touring outfit called Indus Rider and we've had many a conversation which end up at a desire for adventure-ish touring friendly platform. Well, Aroo, I've found the bike for you. 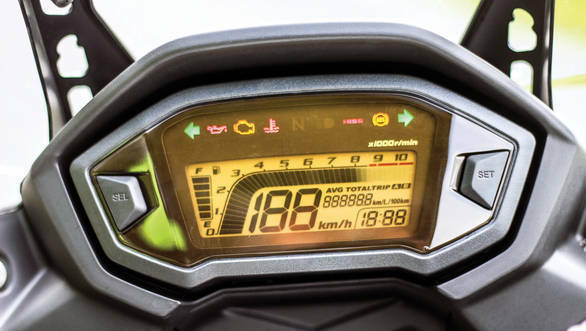 While KTM's forthcoming - now delayed - adventure 200/390 is what everyone is waiting for, the CB500X is the perfect touring motorcycle for India. Here's why. It's a cold, rainy sort of day in New Zealand and this kind of weather is not uncommon here but you'd rather have it dry. That's because of the roads they make here. They're cheap roads because the population is low and traffic densities outside urban areas are - by our standards - laughable. So you get these grippy but abrasive roads that use a thick layer of hard stone chips as the top surface. The problem is when it gets hot, heavier vehicles push the chip back into the tar and you get these shiny patches that are super slippery. You'll see as many Slippery When Wet signs as you'll see cows and sheep. And as I was warned, you take them seriously. So when you're headed crossed up into a left-hander somewhere in Middle Earth two hours east of Auckland, you're not a happy camper. I can feel that greasy sensation of the sliding rear and that even more alarming feel of an unattached front. Falling off a motorcycle is part of the game. But you do not want it to happen in the middle of a cold rain, in a corner about two hours from anywhere with not a human in sight. But that's the beauty of the CB500X. It's like a two-wheeled reassurance policy. A moment later, the wheels are back in line and the sweet Honda engine returns to its quiet hum like nothing untoward happened. All that remains of that moment is some sweat on my brow. Which the cold wind quickly flicks away. 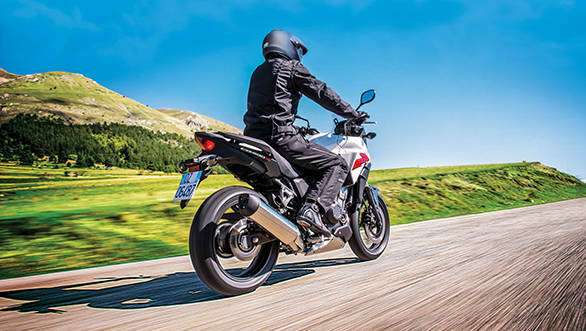 In design and engineering, the CB500X isn't a dramatic leap forward. The X was the last of the 500 platform motorcycles to come after the R sportsbike and the F naked (which I'm told is a full-on laugh-a-thon to ride). 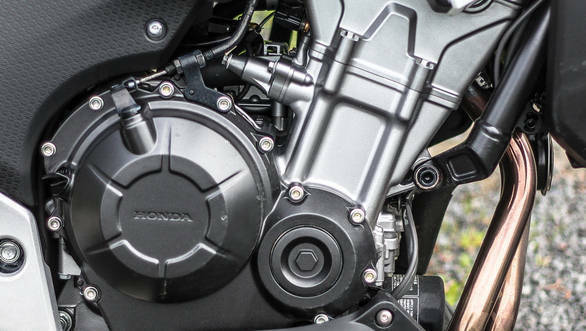 It uses the same nearly square 471cc parallel twin, a counterbalanced, fuel injected liquid cooled beauty with four valves per cylinder and twin overhead cams. The diamond-type chassis is different (from the F and R), but only slightly. 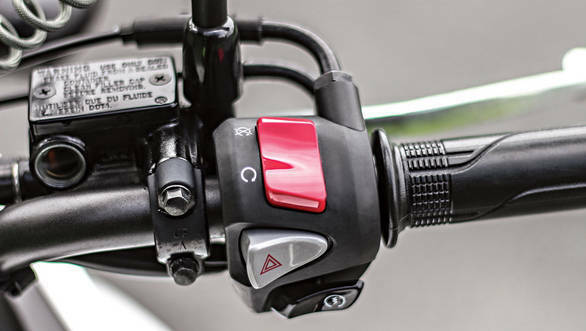 The front suspension travel is a bit longer though the rear monoshock remains the same as the F and the R. A slightly more relaxed steering geometry brings with it more trail and a slightly longer wheelbase. 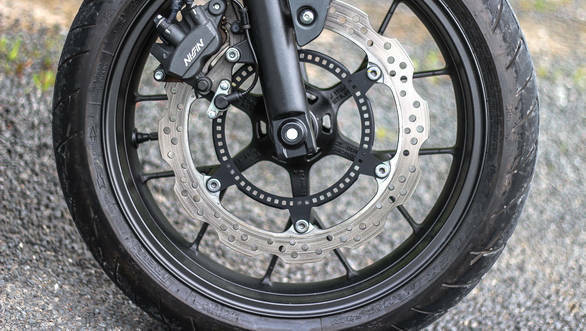 17-inch wheels show it's meant to be a road bike and braking is handled by a 320mm wave disc up front. In that sense, it's a simple, unpretentious motorcycle. But it's a beauty. It sounds like every Honda does. The engine is quiet and hum-ful while at low speeds you hear more of the transmission than the actual engine. But you'll never feel a vibe in the bars (tested up to a very naughty 140kmph). It'll sit at whatever speed you choose with an easygoing charm and I can tell you that the four-five hours I rode it, I enjoyed the engine's sweet nature thoroughly. I was lulled into thinking that the engine was lazy because of the quietness and sweetness of the power. But once you start wringing the throttle, you realise that the engine produces its 47PS without effort. The revs rise on the digital tachometer very rapidly and you'll get to a 100kmph very, very quickly indeed. In that sense, you'll realise that the nature of the 44PS in KTM's 390 is just one flavour of fast. Honda's 47PS is much quieter, more poised and in some ways, a flavour that's more likely to be a universal favourite. 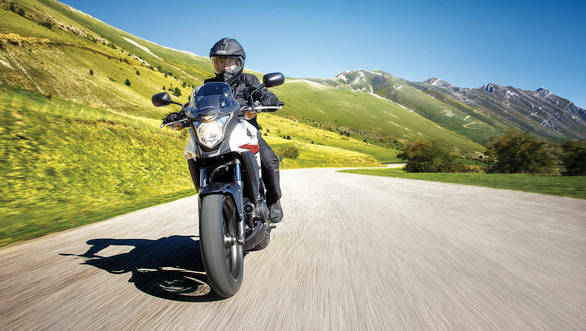 Indeed, the sales of the other Honda X bikes, the NCs have shown that this tarmac-oriented adventure tourer is actually a persuasively versatile motorcycle format which can handle commuting, erranding and touring with remarkable grace. As for me, I mounted a substantial camera bag on the back seat (but these aren't my pictures - it was a dark grey day and only I seem to love the pictures I took) and headed towards a place called Clevedon. This is a place where the oceanside roads are largely curvaceous but not super tight. A place where the Honda could stretch its legs but the chassis would have to bring its A-game as well. I even managed to ignore my GPS and find a gravel-topped mining trail to wobble down. And through it all, the Honda was the sweetest, most reassuring motorcycle I've ridden in ages. It was never out of sorts or out of its depth. After the rain started and the road began to get really slippery, the confidence of the chassis and the compliance of the engine allowed me to ride at a pace I wouldn't otherwise attempt this far away from help and backup. And that's when I realised why I thought of Aroo. You see, Aroo who does big distances on his bikes, but rides a lot of short rides in Goa where he lives, needs a quiet, versatile sort of bike that can hack the tight bylanes of Goa as well as the variable state of our Indian big roads. He likes Hondas by nature. He wants his bikes to be fast but not loud. Graceful but not slow. Sweet but not decadent. 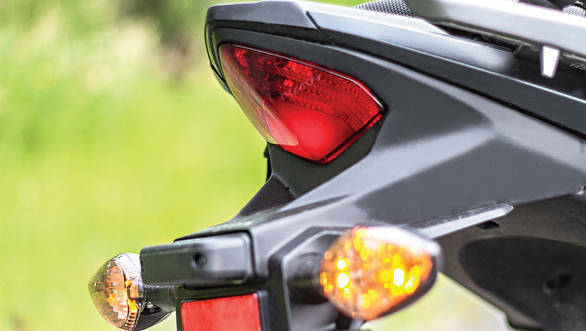 He will love the CB500X. While I rode the bike through Kiwi town and country with a great big smile on my face, this is not a story that ends with me telling you that Honda is bringing this motorcycle to India. As of now it is just a brilliant motorcycle. I can see a lot of Indian motorcyclists I know taking to the Honda CB500X like fish to water. We know that the Honda 500 platform was made with emerging markets like ours and A2 licence class (like in New Zealand) in mind. We also know that while Honda intends to assemble the CBR650F from next year, it's not revealed any hint of plans for the CBR300R or the 500. So claiming that the Thai-made 500X is coming to India would be presumptuous. 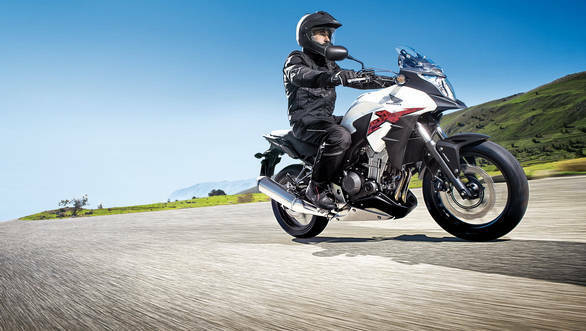 But what is clear to me is that the CB500X would fit India beautifully. It would feel downright luxurious on broken roads, commute fuss-free and cover big distances like it was born to do it. It's been a while since I met a Honda this nice. Let's hope we meet again soon, X.